Something a little different for you all this week. We have some BIRTHDAY SNAPS for you! With all the craziness of work, an invitiation to our wonderful friend Paula’s (ahem) 50th couldn’t be missed. It was wonderful. Hosted at the amazing Gunhill Signal Station, Sian and I had been there during the day, but we had never seen it at night. It is beautiful. I mean, crazy beautiful. Setup nearly four hundred years ago, the station had been positioned deliberately to allow the soldiers stationed there to look out over the country and see any potential invaders to the island. It could also see the four other signal stations around the island at any given time. This meant, that if they spotted anything untoward, they could raise a specific flag, which Gunhill would spot, and then relay the message onto the other towers. Genius. As such, the place affords some amazing views, and at night it is even more magical. Normally, when I shoot an evening reception, I have scouted the location beforehand and know what to expect. I also usually have my full kit bag, lenses, a tripod and my flash guns. For Paula’s birthday, I just took a 50mm prime, because we wanted to enjoy ourselves and not be burdened with all the kit. As such, the photos relied on ambient light to get us through, which, I am afraid to say, was rather lacking! There were some fairy lights around the dance floor, so this is where I tried to take the majority of my shots. Now, a little bit about Paula. In charge of the social networking and promotion of our hotel, I cannot think of a more perfect job for her. She is fun and bubbly and warm and glamorous…and like us, she has a big family, that she loves dearly. It’s at things like this – parties, birthdays and such, that I always miss home a tad more. We are sociable people, and always enjoy a do with our families and friends. But even though we miss them, it is always such a privilege to be invited to something so special, all the way out here in Barbados. Happy 50th 35th Paula – it was wonderful to be able to share it with you!!! tech http://fergusford.com/wp-content/uploads/2016/10/Hand-Writing.png tech2013-02-05 22:55:492013-02-05 22:55:49Happy Birthday Paula! 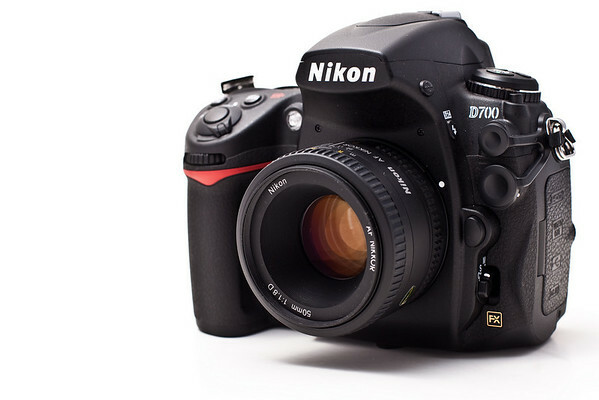 It’s a Nikon D700. And I love it. It’s not, by any means, a new camera – it came out waaaay back in 2008, when Sian and I bought our tried and true Nikon D80s. We still use the D80s every now and then, and they are lovely, lovely little cameras – but the 700 is just a new world. So what makes it so good? Well, the first thing I am sure a lot of you will assume, is that it has a million mega pixels, full HD video, touch screen interface and the ability to create beautiful panoramic photos by simply waving it vaguely towards the horizon. Wrong. It has none of these perks. Image size is relatively small with a mere 12.1 megapixel sensor, and video was but a weird experiment (introduced by Nikon, but far surpassed by Canon now) that they toyed with their D90 around the same time the D700 was released. There is certainly no touch screen and the panoramic gimic of some of the new Sony point and shoots – although an excellent application for the holiday snapper, is definitely not there. “So why spend nearly 2 grand on a camera that’s so dump Ferg? !” I hear you cry. And the answer is very simple. Noise. And no, I don’t mean the wonderful mechanic clank of the mirror locking up with each exposure – I mean image noise. This bad boy is amazing. The 700 has what’s called an ‘FX’ sensor – so it is physically 33% bigger than the weedy chip in our D80s. Even though it is delivering a very similar megapixel count to the D80, the bigger surface area and quality of the chip makes it much more sensitive to light, and therefore, your ISO range can be increased significantly. If you know what ISO is – please skip down to the pretty pictures below, but if not, please allow for a quick explanation in as un-patronising way as I possibly can. ISO was introduced to film makers back in the day, to help photographers know how to expose their photos. The ISO (which simply represents the International Standards of Organisation) rating of a film refers to how quickly it reacts to light. The higher the ISO, the faster it reacts, but at the cost of clarity (remember all those grainy photos in the rain from back in the day? High ISO film). The ISO rating was put in place to ensure that whichever brand film you bought, the film sensitivity would be the same throughout, thus making your metering and exposure correct. If, for example, you bought an Agfa 800 – it would be exactly the same exposure (nothing to do with colour, vibrancy etc) as if you got a roll of ISO 800 for free when you developed your negs. You would tell your camera which ISO film you had loaded, and it would expose accordingly for you. The easiest way I can think of explaining it is if you imagine you have a blank canvas and a paint brush. A lower ISO allows you to paint the canvas methodically from left to right, allowing for an even and polished finish – but it takes time. A higher ISO means you have to achieve the same goal – painting the entire canvas, but you do so in a fraction of the time – so you just chuck the tin of paint at the canvas and hope for the best. When chucking the paint, you may well get a similar result, you have, after all, painted the canvas – but it is very likely to be blotchy and spotty, when opposed to the methodical and slow approach of a lower ISO. Well, with our spangly new camera, I can ramp the ISO to about 5000 and still get beautiful, crisp images that I can use. With the D80, if I crept the ISO up to even 1600 – I would invariably get what is known as noise in the image. To demonstrate, I setup a (dump) still life with a few of my favourite things…beer in the form of dominos – a wonderful gift from Jenny and Tom, my nephew Ryan, a bed complete with comedy colonial throw and a camera. I tried my best to take the same photo, one with the old D80, one with the D700, and layer them on top of each other to to give you an idea of the better quality in low light. Both images were shot at 3200 ISO (The equivelant on the D80 anyway) at f6.3, shutter of 6oth second. But I have not spent nearly enough time with my flash to call myself proficient with it. There is a wonderful movement gathering momentum called strobism, which I had my first proper stab at a few days back -I shall blog my findings and results soon, but in the mean time, I’ll stick to my high ISO and ambient light…because I love it when I take pictures like the ones I took at the Mount Gay rum factory we visited the other day. So, in all honesty, is the camera worth it? because it would not cross my mind to bring it along for the trip. And so let that be the lesson of the day, despite all of it’s electronic gimmickery – all of the control and poise expected of a pro body, the ridiculously good low light performance, the sheer comfort of the thing, the high frame rate, true 35mm depth of field, obscene battery performance, live view and assignable buttons to mention just a few of the inexplicably good features of our spangly new camera, our 80 quid waterproof Fuji Finepix was much better the day we went on a catamaran, because that was the one we took with us.